Another brother of Joan Beamis has died. 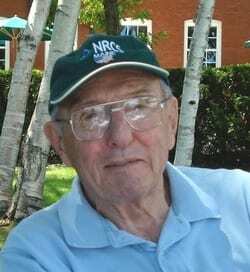 John Crohan “Jack” Malley passed away at the age of 90 on Saturday, March 5, 2016. Among Joan’s other siblings, her brother Fr. 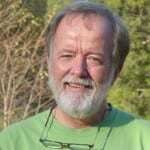 Jim Malley died last June. Her sister Janice died in 2012. Joan was the first of her siblings to pass in 1990. In 2009, Jack Malley provided substantial information about his family and their kinship with the family of Frank & Jesse James to Stray Leaves publisher Eric F. James. Much of what Jack provided ended up in James’ first volume of the history of the Jesse James family – Jesse James Soul Liberty, Behind the Family Wall of Stigma & Silence. 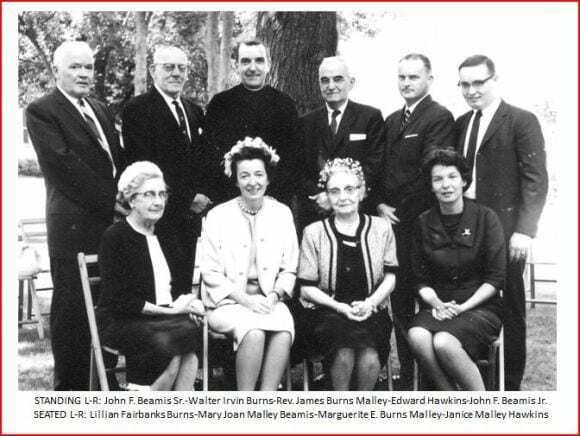 About his family, Jack Malley informed Eric F. James, “My mother (Marguerite Hazel Burns-Malley) was the only one who would not talk about the James brothers. She was somewhat of a Boston socialite in her pre-marital years. We, her children, thought it was terrific, and our grandmother Mary Louise James-Burns was “pumped dry” for stories.” Mary Louise James-Burns, a daughter of Frank and Jesse’s uncle Drury Woodson James, lived with the Malley siblings as they grew up. 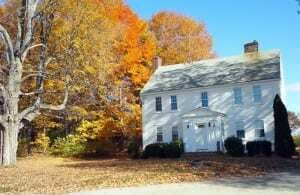 The Malley family home, Somersworth, New Hampshire, and childhood home of Fr. 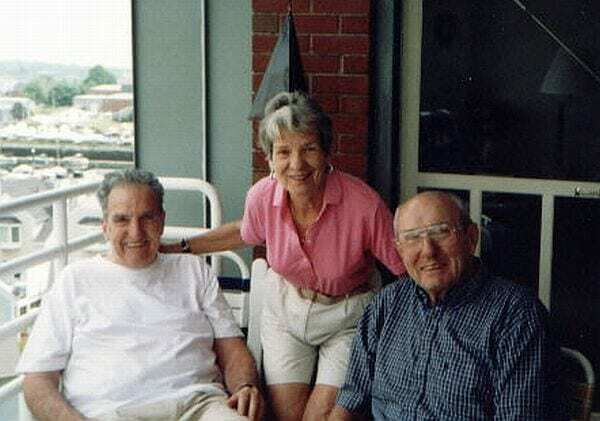 James B., John Crohan, Mary Joan, and Janice Ann Malley. Formerly the Malley Boys Home. Now the Sober Sisters Recovery Transitional Home for women. As Jack Malley stated, “It is ironic that D.W.J. (Jack’s great-grandfather) was a rancher and cattleman. I spent my life in agriculture. First, running a 100 cow dairy herd with my father in New Hampshire and then 30 years as a soil conservationist with the Soil Conservation Service, U.S. Dept. of Agriculture in New Hampshire and Maine, working with farmers. J. Mark Beamis, son of Joan Beamis and nephew of Jack Malley. An extensive and loving obituary of Jack Malley outlines in detail his personal life and interests, as well as his accomplished career in conservation and preservation. The obituary is well worth reading. In recent news, the Malley family farm where Joan and her siblings grew up now will become a women’s recovery center. The Malley family farm is the place where the first discovery was made by Joan Beamis, leading to her researching and writing the first genealogy of the Jesse James family, Background of a Bandit. Following the death of the Malley siblings’ parents, Rep. James Francis Malley and Marguerite Hazel Burns in 1974 and 1983, the Malley home then became the Malley Boys Farm. With Jack’s passing, the family home now enters a new stage, becoming the Sober Sisters Recovery Transitional Home for women. Jesse James’ cousin, Rev. James Burns Malley S.J., recently celebrated his Golden Jubilee as a Jesuit priest on June 18, 2014. 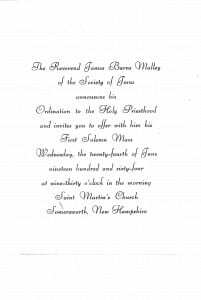 Ordained into the Catholic priesthood on June 18, 1964, Fr. Jim has served his vocation faithfully for fifty years. His calling, however, did not come easy to him. When it did, his call to serve the Lord was not an easy ride. Like his infamous cousin Jesse James, Fr. Jim soon found himself the target of military and politicians alike, who perceived his good works as a direct challenge to their political regime. Fr. Jim’s story is amply told in a recent biographical history of the Jesse James family, Jesse James Soul Liberty. He first aspired to a naval career, but Jim found his math and science skills did not measure up. Attending Dartmouth, Jim’s college thesis won the Jones History Prize. His graduation with “Highest Distinction in History” earned him entry to Harvard Law School, after which he joined a law firm in Boston, not too far from his New Hampshire home. Fr. Jim’s military service found him on the staff of a Navy Admiral as an intelligence officer, not too unlike his first cousin Donald James Baumel who was an intelligence officer in the U.S. Army, nor unlike Jim’s great-grandfather John M. James who was a spy for George Washington in the American Revolution. When Jim was ordained and joined the Jesuit order, he answered the call of the Second Vatican Council. Committed to social change, Jim went to Brazil. There he found an active Catholic presence, but he also met a culture where “the unchurched” were deeply committed in their religion, but not necessarily their practice, particularly among the wealthy and the military. His reassignment back home landed him at the Georgetown University Law Center in Washington D.C. Nearing retirement, he was relocated to Boston College in a ministerial service to students, faculty, and staff. Today, he resides in a home for retired Jesuits, where this past year he took particular delight in the election of his fellow Jesuit from South America, Jorge Mario Bergoglio, who was elected Pope Francis I. 2012 New Year Prayer from Fr. 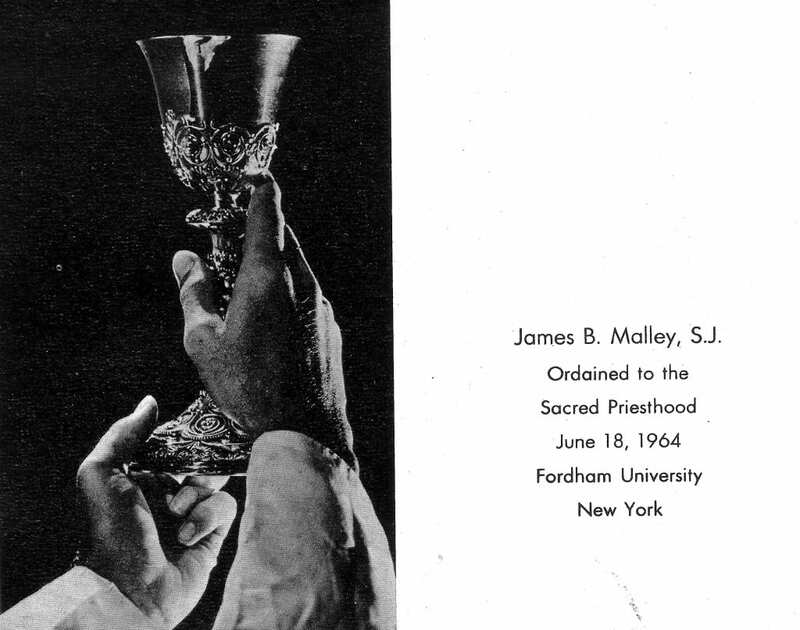 James Malley S.J.